I wrote this five years ago when my daughter was still swimming with the Piranha Swim Team in Palm Springs. What an amazing time we’ve had as part of Piranhas since 2001. Swimming has been a vital part of our family life, and now with the kids gone, my husband and I have joined as masters. It’s fun to look back at my memories from the team. So many great coaches, kids and parents throughout the swimming community. One of my favorite parts of being a year-round swim parent for the past 14 years has been swim meets. Not home meets, but traveling to meets. Don’t get me wrong, the home meets have their unique qualities that I’m sure I’ll miss — but, travel meets — I’ll definitely miss more. This past weekend, we were at a meet in So Cal Thursday through Sunday. 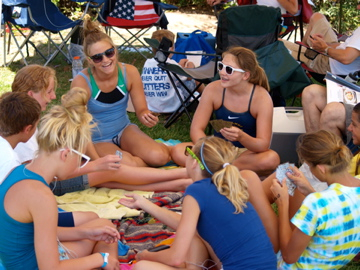 Other swim parents posted photos and wrote on Facebook about how much they enjoyed the weekend and meet. My age group swim parenting days are numbered — 40 days and nights to be exact — but who’s counting? 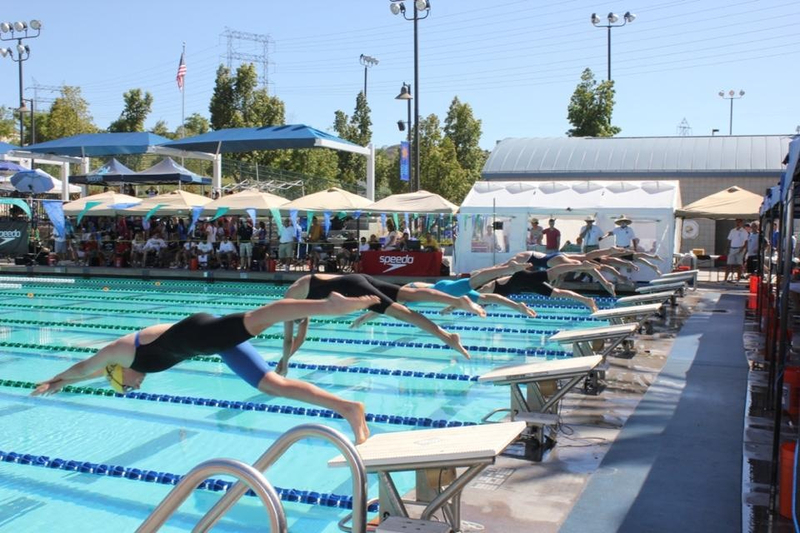 With my daughter leaving soon for college, I’m nostalgic about why I and other swim parents love meets. Spending time together. When you are away for two to five days with your swimmer, you have a captive audience. There’s no distraction of 8 hours at school, followed by 3 hours of swim practice, and hanging out with their non-swim friends. Spending lots of time together, unfettered with household, work, and daily school responsibilities is refreshing. Enjoy your little bubble of time, treat it like a mini-vacation. Play cards, sing songs, go to the beach, have fun! You’ll look back on these days as precious memories. Nap time. When your swimmer is older, and in age groups that have prelims and finals, you’ll find yourself in your hotel — with your swimmer — for three to four hours in the middle of the day. Your swimmer needs to be off their feet and resting, so going to the beach isn’t a good choice. Nor is shopping. Bring in lunch, relax, and enjoy some of the best naps you’ll ever have! Walking. Being at a meet for days on end, without cooking, cleaning, working, etc. allows plenty of time to walk. I walk during warm-ups and warm-downs. I walk with my husband, with friends, and by myself. I look forward to checking out the areas by the pools on foot. Walking gets rid of my nervous energy and walking for hours and miles has to be good for me! Friendships. You’ll spend lots of hours with team parents under the pop-up tent. Mostly, swim parents are generous, encouraging and have the common interest of your team and kids’ successes at heart. I’ve made great friends with parents from other teams and I look forward to seeing them at the away meets. I had a great conversation this past weekend with a parent of another graduating senior. Our daughters are in separate towns, on separate teams, yet they are both swimming in college next year — and going through the same excitements and anxieties. I’ll look forward to seeing these parents in the future, during our college phase of swim meets. Watching your swimmer race. What is it about watching your child race that is so rewarding and exciting? I’m not sure, but if you have the answer, please let me know. It’s so exciting when they do well. I love that feeling when I see their hard work pay off and watch their growth as a person and an athlete. 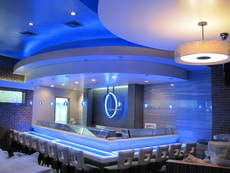 Zen Sushi, Lake Forest, CA, and Orange Roll and Sushi, Fullerton, CA. 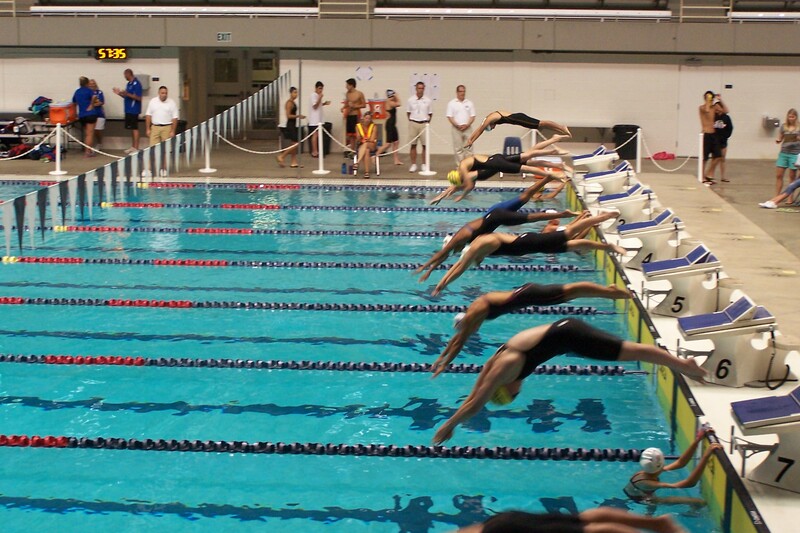 Are you a swim parent, or a sports parent? What are your favorite things about going to away meets? The Utes cheering for a teammate. It has been an exciting, disappointing, amazing and depressing meet. With one more day to go with PAC 12, NCAA and American records falling all around, I’m enjoying the show. But with my daughter’s mile this afternoon, I’m holding my breath. So, if it was “just a tickle” why did she bother to tell me? A few days later, she was sick. My husband and I told her to go to urgent care. She fought about it because she was so miserable she didn’t want to leave the warmth and comfort of her bed. A few hours later, she called to tell us she had the flu. They packed her full of meds and told her to return to her house for total bed rest. This was Saturday. She was leaving for the big meet on Tuesday. She’s been scratched out of a few events, swam a single event, but mostly is lying in bed, waiting for today to be better and swim the 1650 free. My daughter and coach on the sidelines. Good luck today is all I can say. I may have my eyes closed, or peek through my fingers while she swims. I also wonder why am I the parent of distance swimmers? It would be so much easier to be the parent of a sprinter! 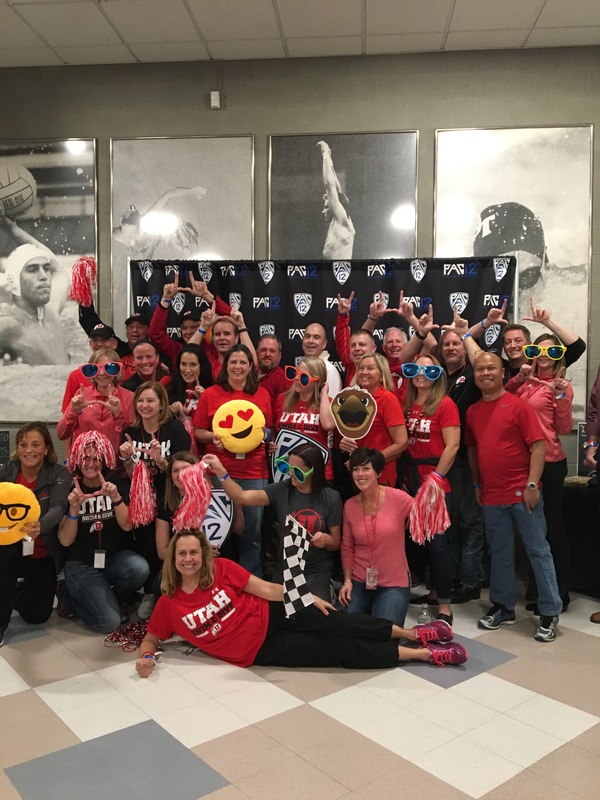 As for the exciting, fun wonderful stuff, we hung out with our fellow Ute parents. It’s once a year, we’re together for this long four-day meet. We send the kids off every evening during our pre-function with cheers and pompoms, which makes us laugh out loud together. We have fun watching other team parents, whether it’s trees on their heads for Stanford, blue wigs and a giant flag for UCLA or our own red mohawks. Rarely do we parents get to act so silly. It’s refeshing and fun, and gives us memories we’ll hold dear. As for the meet itself, it’s indescribable. Katie Ledecky, Simone Manuel, Abbey Weitzel, Kathleen Baker, Ella Easton, Lia Neal, Katie McLaughlin, etc. The world’s greats all gathered together for a college meet. Records falling left and right. Shaking my head with disbelief at what amazing swims I witnessed. It’s a special meet, and although things in life don’t always go as planned, I’m proud to be a small part of it. The following to videos are exciting races I was privileged to see, the 50 and 200 free. 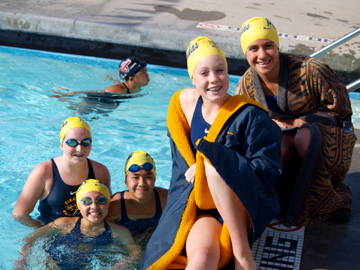 Last year, my daughter and teammates cheering during the 200 fly. P.S. She did great! The 1650 was ok! My kiddos jumping in the waves in Laguna Bach, CA. I received a question from a swim mom the other day about families that team hop. “Why do they often want to destroy the team they left behind?” she wondered. This mom said that if her own family were to make a decision about leaving, they’d do it and not look back. Their decision would be their own and they wouldn’t need to tear down the team or coach. I wrote about that question in an “Ask Swim Mom” story. You can read it here. That’s it. It’s all so personal when your kids are young and you’re involved. 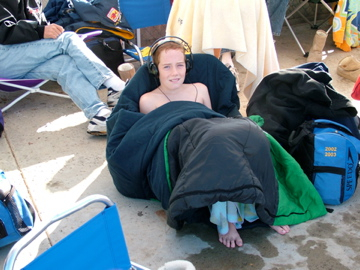 I regret many things I did–not only as a swim mom–but as a school parent, too. Every day I didn’t need to put on armor and fight each battle. Some things could have been left alone. I really felt the need to solve each issue, from a parent not fulfilling volunteer commitments on the swim team, to a teacher who wasn’t great at teaching. I wish I would have known that “this too shall pass.” I barely remember what caused me such inner turmoil in younger years with my kids. Relax, stand back, and enjoy each memory you’re creating with your family. If we could convince newer parents to take a step back and not hover quite so closely, they might be able to enjoy parenting even more. I think it’s okay to helicopter parent, just do it from a higher altitude so you can see the big picture. What regrets do you have as a parent or in life? What would you do over if you had a second chance? I wrote this article several years ago and I still wonder about this today. 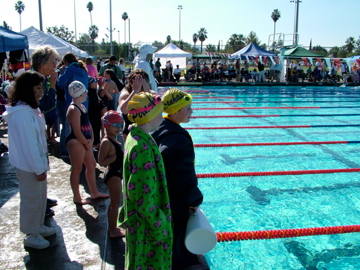 In our LSC, Southern California Swimming, we’ve always had new teams splintering off from older teams. It’s a phenomenon that I see as unhelpful because it takes so much support to keep a team afloat. Also, there seems to be little team loyalty and parents are always jumping from one team to another. I say parents, because I’m not convinced that kids are driving the issue. No. I highly doubt it. When a group of parents fracture off and start a new team, many unexpected things happen. First, they learn that it’s not as easy as they thought—most of the teams I’ve seen crumble in under five years (not all, but most). Second, friendships and relationships are divided, loyalties are developed—you’re either on one side or the other—and there’s a lot of unhappiness all around. If a situation is bad, or you see fault with it, why not address it? If you have an issue with a coach, why not talk about it with the coach? If you’re unable to do that, or don’t feel comfortable, then why not talk to the board, or at least send an email? Is there something you can do to help the situation? Can you volunteer your expertise or time to make your team better? That’s what I’d do and what I’ve practiced through the years. New teams usually start, because of a private agenda or ego issue with an adult—and it’s not always with the best interest of the kids in mind. When new teams begin, the resources of the community are spread too thin. Without a large population of families, communities cannot support a number of teams. There are only so many families willing to make the commitment to swimming. A well-known club, college and Olympic coach told me that you need a million families to have a national championship level team. You need a large pool of families for kids to come in and out of the program as they move onto college. Plus, coaches are highly trained and there aren’t a lot of them around who have gotten kids to national levels. If you want the best for your kids, then it would seem you’d want a chance for your child to improve, learn new skills, build friendships and have the opportunity to swim in college and beyond. It makes sense that you’d want your child on a team with a proven track record of getting kids to those levels. My son learning to dive with the swim team. Speaking of friendships, how does it help your child to be put on a new team away from the kids he or she has bonded with on a daily basis? Do you want to ensnare your child in the drama that’s sure to come when the kids come face to face at a meet? Do you want to be the parents dragging in their own food in coolers to a meet hosted by your former team—because you refuse to support their snack bar? When I talked about this years ago with my son, he felt that teams splitting up and new teams starting were a good thing. His viewpoint was that competition is always good and will make the existing team even better and more committed to excellence. I agree with that concept, but sometimes the process is painful. I think it all comes down to one thing, the swim team should be for the kids. How does creating turmoil and drama help your child? Maybe you can take a look at where you are and realize, hey, it’s not that bad! Or better yet, jump in and make it better. My daughter with her first swim instructor. What are your thoughts about creating new teams? Do you think it’s a good thing, or not? 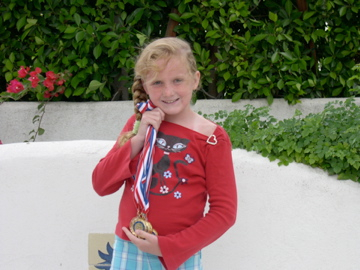 I want to be a “Scilly” swimmer too! 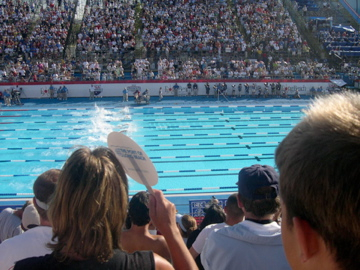 The swimmers gather with their groups. Photo courtesy of Linda Burns. I feel like I am standing still in cement while I watch my swimming friends fly off without me. I barely make it to the pool more than twice a week lately–and I’ve had to start completely over this year due to knee surgery. Meanwhile, my Piranha Swim Team Masters’ friends are getting faster, stronger and swimming longer workouts. Not only that, they are taking on challenging open water swims like the Tiki Swim in Oceanside and the Scilly Swim Challenge in the United Kingdom, 35 miles off the coast of Cornwall. My friends Linda and Karl, who were former Piranha and St. Theresa parents with me, swam the Scilly Swim Challenge for their second straight year. This swim challenge is a 15k swim combined with a 10k walk. Dewi said their plans include a race around St Mary’s as a relay event and a test event in Croatia in October. Currently, they have a two-day and one-day swim in September and a Spring Swim in May. A map of the Isles of Scilly and route courtesy of the Scilly Swim Challenge. 6 swims averaging 2.5 km (total 15km) and 6 walks averaging 1.7 km (total 10km) completed as a group with full safety and logistical support. Whether you choose to complete in one or two days you will experience the amazing swimming and beautiful scenery Scilly has to offer. The event will start and finish on St. Mary’s, the main island, visiting St. Martins, Tresco, Bryher, Samson and St. Agnes. It’s not a race and the emphasis is on everyone getting round safely. While you’re swimming we will transport a bag for you which will be available at the next island. You will then carry it to the start of the next swim. Full safety support is included. There are food stops at the end of each swim. The Kestrel, Linda and Karl’s ride for two days, at Hugh Town. Photo courtesy of Karl Siffleet. According to Linda, her second year was easier than the first. “Coming out early to get used to the water was helpful,” she said. The water temperature was 15 degrees Celsius (59 degrees Fahrenheit). In contrast, we swim in a pool with a temperature of around 80 degrees! Yes, she wore a wetsuit the entire time. 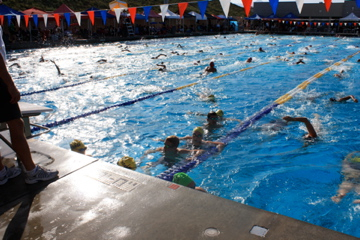 Swimmers can swim as much or little as they want. If they need a break they can hang onto a kayak or climb aboard a boat and go to the next island. In between, they are fed snacks and drinks. Photo courtesy of Linda Burns. “There was tea, coffee, other hot drinks. Cakes, soup, salads, rolls, candy bars. Diet Coke, homemade pastry and Cornish pasty,” she said. Hot tea after a cold swim! Photo from Linda Burns. I’m sure a lot of the appeal on taking on a challenge like this is the camaraderie. 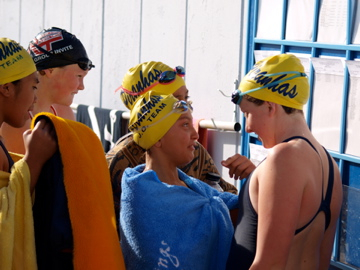 The swimmers must feel so much accomplishment and bond together after their swims. I know it motivates Linda and Karl to keep swimming year round and a goal to work towards in their practices. Someday, I’d like to take this challenge, too. I don’t think I’ll be strong enough yet in May, but perhaps in a year or two. In the very least I’d like to travel to the Isles of Scilly and see this quaint, quiet and beautiful area for myself. What motivates you to get out of your comfort zone and try something incredibly challenging? Photo courtesy of the Scilly Swim Challenge. What lessons do sports parents learn? The fight song at the end of one of my daughter’s college dual meets. Go UTES! “Lessons learned from 27 years of youth sports parenting” by Seattle Times columnist Larry Stone hit a spot in my soul. He shared many of the highlights of his years of sports parenting with his children. Like he said in his column, they had no idea how youth sports would take over their families lives when they first began the ride. We too tried a variety of sports and then settled on swimming for both our children. Before we knew it, we were all hooked, and swimming filled up our lives. A few days before the first swim meet ever, we received a call from the president of our team’s board. He said we needed to sign up to help during the meet. They needed timers or help in the snack bar. What? We were shocked. Then, he said that afterward, the entire team stayed to tear down the meet. Roll forward a few years and I was serving on the board, writing press releases, creating fliers to promote the team and writing the team newsletter. My husband became meet manager and had to call parents to help at meets, before he took on the role of president of the board. Add our volunteering to the fact that we were taking our kids to the pool six days a week, plus meets, 50 weeks a year–and yes sports parenting took over our lives for a few years. Take it from Larry Stone, who has learned a few lessons over 27 years of youth sports parenting: There are a few tricky or annoying aspects of your offspring’s sports participation, but mostly, you’re going to want to savor it before it goes by in an instant. It was way back in 1991 when my oldest daughter, Jessica, signed up for a 6-and-under Bobby Sox softball team in Oakland, Calif., where we were living at the time. It was a delightful season of fun, growth and bonding, though it soon became apparent that Jess was not destined to be a slugger like Dave Henderson of her beloved A’s. To be fair, she did hit a grand slam (of the Little League variety) in her final at-bat, as Jessica, now 32 and married, reminded me on Tuesday. I didn’t realize at the time that our family was stepping timidly into a world that would at times dominate our lives, and certainly became a focal point of family logistics for more than a quarter century. Naturally, I’ve been reflecting about the good times and the bad as a youth-sports parent (and fortunately, we had far more of the former). I thought I’d present some of the lessons I’ve learned over the years – some of them the hard way. • A few of the coaches you’ll encounter will be ego-driven tyrants who think they’re the next Belichick or Auriemma as they micro-manage pre-teens. Far more will be kind, supportive and motivated by the simple desire to make your child a better player without bruising his or her psyche in the process. • Throw the words “select,” “premier” or “elite” in front of a sports program, and there’s no end to the amount of effort (and money) we parents will put forth to get our kid into it. • There’s a dire need to make youth athletics less about select, premier and elite, and more about fun, participation and recreation. • If your overriding goal for youth sports is a Division I scholarship, you need to rethink your priorities. First of all, it’s probably not going to happen – that’s just the stark reality. Second of all, you’re likely to spend so much money in that pursuit that it negates the value of what in most cases would be a partial scholarship anyway. And third of all, if your kid has the talent, it will emerge clearly and emphatically on its own. In other words, pay for the camps, clinics, showcases and recruiting videos if you’d like, but be aware that the payoff is not likely to be what you think. • Burnout is the scourge of youth sports, and specialization is the single biggest source of burnout. Particularly at the younger levels, diversify, don’t specialize! • Overwrought and demanding parents are now, were then, and will continue to be the bane of youth sports, perpetually pushing the line between concerned involvement and crazed entitlement. • Some of the best friends and people I’ve ever met are youth-sports parents who set the finest examples of how to positively support, encourage and nurture your child’s athletic career. And some of the best parenting advice, perspective and support I ever got came from people I sat with in the bleachers — the ones with older kids who had been here and done this, and the ones struggling through the same developmental hiccups that were keeping me up at night. There’s more to the article and I suggest you read every bit of it. I agree with Stone that some of my best friends I met on our team and from other teams throughout Southern California. Our friendships have lasted through the years. I got great advice from parents of older kids, and commiserated with the ones with kids the same ages as mine. Of course, there were those crazy parents who caused so much stress—but they were few and far between. And we had our own crazy moments ourselves but learned from our mistakes. I learned more about parenting on deck that went far beyond the pool—like which teachers were the best, about SAT testing, college recruiting and more. In return, I’ve talked with parents with younger kids and hope I can be as helpful as those who helped me. 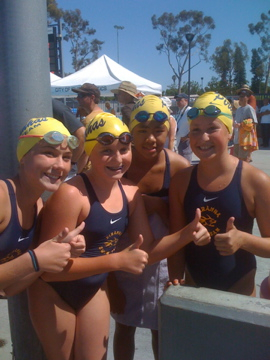 The team cheer during the age group years. If your sports parenting days are over, what do you miss about it? What are your favorite things about being involved in youth sports?